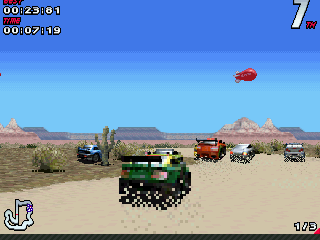 GoityGeePee is a Mode7 Pseudo 3d racer for the GP2x. "Monaco GP2X"is a classic 2d retro by design top down racer inspired by many retro racing games on the Commodore 64 and Arcade formats. >see website for latest version and level editor. 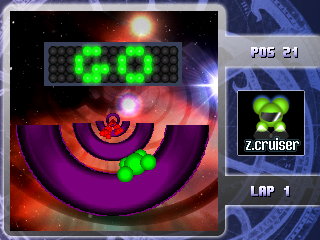 Opposite Lock is a Commercial 3D racing game that was later gpl'd. Included is PhoneME 1.0.1 and midi files for music. Unzip in the root of your SD card, midi folder must be there, otherwise no music. A top-down racer with 9 tracks. 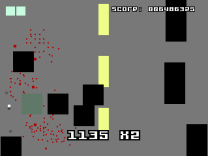 Road Smash 2D is a tiny (<24k) arcade car game where you've got to destroy everything on the screen to proceed to the next level. Contains (audio) track editor. Press B for to run and win. 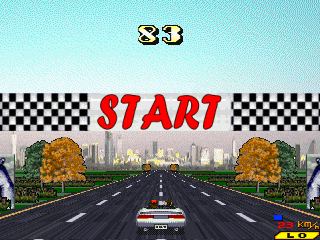 Tu rival te ha desafiado a una carrera, �quien ganar�? Presionando el boton B andar� tu caracol (el de debajo) un numero al azar de pasos del uno al seis. Version beta del primer minijuego de mask man. This is a version of PocketSNES that supports SA-1 games (well, mostly only Super Mario RPG for the gp2x). It's MUCH less compatible than the standard version, so don't be puzzled if some games don't work! 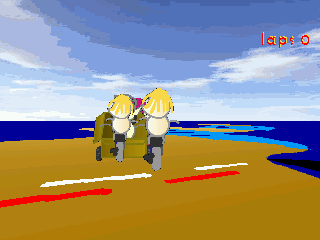 A 3D racing game where the object is to reach the zTunnel and escape by beating the other racers.